From my prized collection of bricks. The one on the left is a very old Wagstaff brick, made not by Albert H Wagstaff, but by his father David who had a brickyard just west of Leslie Grove Park where Bertmount Avenue is today. 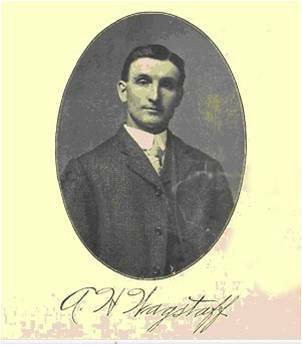 Albert Henry Wagstaff came into this world on September 10, 1870, at the family home just west of Leslie Grove on Kingston Road in Leslieville, in the County of York. A handsome charmer, excellent public speaker, astute businessman and notorious womanizer, he also had a wicked sense of humor outlived him. Thinking on your feet and being good with your fists was a Wagstaff feature. They were tough men, not generally charmers, though Albert was an exception and he had a sense of humor was not always appreciated, as you shall see. On the promise that the Government would give him a land grant, 40 year old Robert Wagstaff, still suffering injuries sustained in a number of battles, immigrated to Canada in May, 1834. One source says that he came to Toronto as a soldier. In any case, he was in Toronto by December 1834 and fought as a solider for the Crown in the Upper Canadian Rebellion of 1847. Elizabeth and his children joined him sometime around 1836. Brickmaking, Somerset, England. Probably from around 1850. The moulder is at the moulding table, the woman is the clot moulder. The man on the right is wheeling a specialized barrow called a “hake” full of newly moulded brings to the drying yard. The young lad on the left is bringing clay to the clot moulder. In the background, a horse is walking around and around turning the pug mill that is mixing the clay to prepare it for moulding. At the left workers are building a clamp, a temporary kiln made out of bricks. 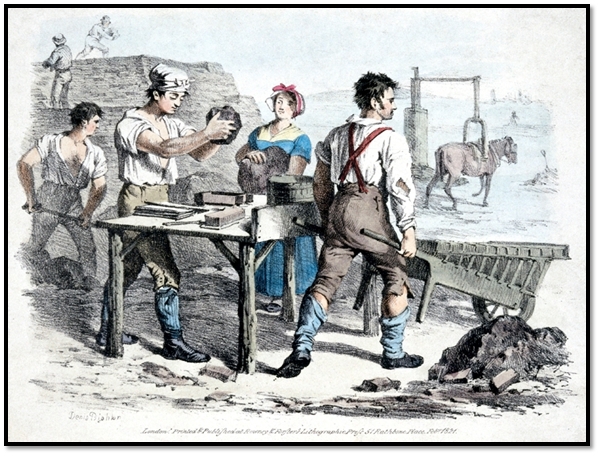 Many brick making families came from Bridgwater, Somerset, to work for the Prices. Some family names include Billings, Manchip, Dibble, but there are many more. A hake. From Edward Dobson, A Rudimentary Treatise on the Manufacture of Brick and Tile, London: Crosby Lockwood and Son, first printed 1850, 10th edition, 1899. 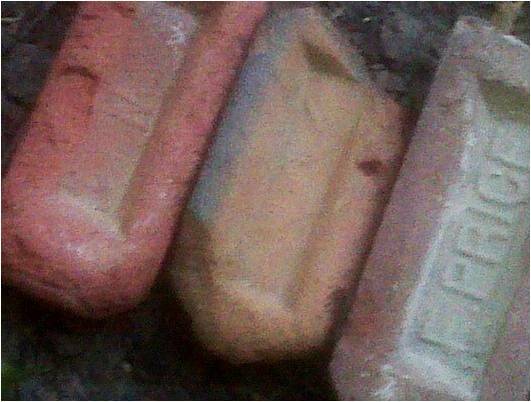 A brick mould. This was a single mould but moulds were often made with two, four or even more compartments, making them more efficient but heavier to handle. From Edward Dobson, A Rudimentary Treatise on the Manufacture of Brick and Tile, London: Crosby Lockwood and Son, first printed 1850, 10th edition, 1899. A clamp kiln made of bricks. The steam coming off the top was called “water smoke”. 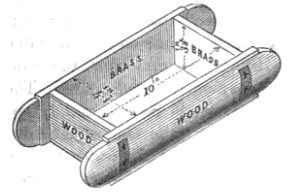 The triangular openings in the bottom were where firewood was fed into the kiln. A small cone of clay was put into one or more of these openings. The brickmaker could tell by the colour of the cone whether or not the bricks inside the clamp were ready. From Edward Dobson, A Rudimentary Treatise on the Manufacture of Brick and Tile, London: Crosby Lockwood and Son, first printed 1850, 10th edition, 1899. Brickmaking was a family affair in the early days. Robert would have been the brickmaker while his gang of hands would have included the children. Robert, as moulder, would have stood at the moulding table. His children were the ones who carried the clay to the moulding area, sometimes on their heads. Robert made the bricks entirely by hand using wooden moulds. Elizabeth would have been the clot moulder. Her job was to cut the lumps into a brick-sized piece or clot. She then passed the clots to Robert. Robert would have stood, despite his wounds, at the moulding table from 12 to 15 hours a day, six days a week. He could make up to 25,000 bricks a year – by hand. The children often moved the finished bricks across the brickyard in a daisy chain, all the children spread in a line spanning the yard. One child would toss a brick to the next until all the bricks were moved, often tons. The children sang as the tossed the bricks. Young boys working in a brick plant. 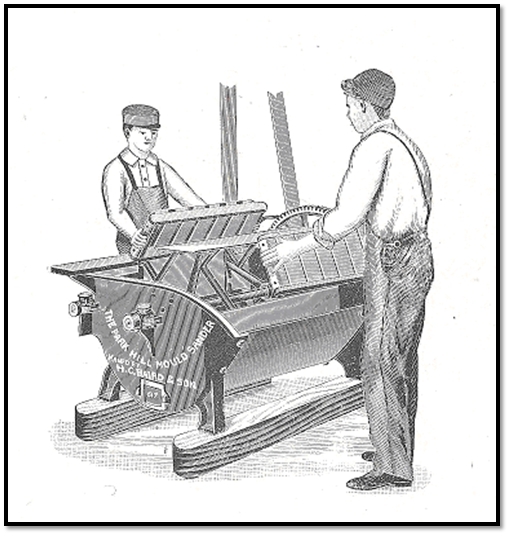 From H.C. Baird catalogue, c. 1909, courtesy of Shawn Selway, Pragmata, historic machinery conservation services. 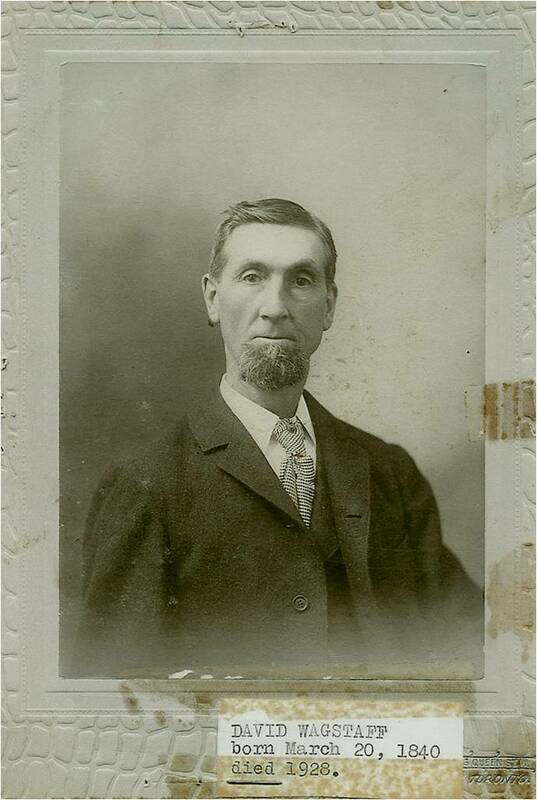 David Wagstaff was born on March 20, 1841, in Toronto, Ontario. His father, Robert, a brickmaker, was 48 and his mother, Elizabeth, was 36. His father was dying when David was born. An American bullet smashed into Robert’s neck at the Battle of New Orleans. (Regimental Registers of Pensioners Rifle Brigade and Miscellaneous Corps, 1806-1838) He served with The Rifle Brigade. Robert Wagstaff passed away on August 12, 1843 when David was a toddler. (Regimental Registers of Pensioners Rifle Brigade and Miscellaneous Corps, 1806-1838) When he died, without the promised land grant, Elizabeth was left destitute. Two of her children were under three years old: William was only three, David was just two.The oldest Elizabeth Anne was 17. Mary was 15. Louisa was 12. The girls would likely have gone into service, working as maids in middle class households. Even Caroline at nine may have worked as a servant. One of my ancestors was working as “tweenie” or between stairs maid at that age. (A “tweenies” job was to carry things up and down stairs all day for 14 or hours a day, seven days a week.) Robert Wagstaff was 14 and had likely been working with his father in the brickyard since he was five or six years old, as the girls probably were too as well as Elizabeth Quince. In December 1843, Elizabeth petitioned for a land grant. It was rejected. Seven months later, on July 29, 1844 she married another brickmaker, Robert Reid. The family later moved to Leslieville. Reid Street, now Rhodes Avenue, was named for this family. Her marriage to Robert Reid may have been arranged by Robert Wagstaff himself before he died. British soldiers often made such arrangements with bachelor friends so that their families would be looked after when they were killed or died of sickness or wounds. Sometimes these were last-minute arrangements before battle, but often they were long-standing pacts between soldiers with their wives’ knowledge and consent. In this case Robert Reid was a widower with five young children of his own. His wife, Harriet Sanders, had died in 1842. I think it very likely that Robert Reid was a veteran of the Napoleonic Wars as well, and perhaps of the Battle of New Orleans. A Robert Reid had fought in the War of 1812 in the US. He was with the 48th Regiment of Foot. A Robert Reid also served in the militia in Toronto during the Upper Canada Rebellion. The Wagstaff boys had worked from a very early age in the brickyards. By 1851 David was living with his mother and stepfather in Leslieville and probably working in Robert Reid’s brickyard with his brothers. David and his brothers were tough men who occasionally got into trouble with the law for assaulting police and roughing up other people, as well as abusing their teams of horses. One brother, Robert, was part of the notorious Brook’s Bush Gang of thugs and murders that haunted Withrow Park’s area. In 1883 David Wagstaff built a large home out of his own bricks at 1140 Queen Street East, next to his brickyard. He had a long career as a brick manufacturer and was highly successful. Matilda Sear died in 1917. David Wagstaff married Annie Louisa Cruttenden on September 4, 1920. He died on September 13, 1928, in his new home at 650 Broadview Avenue. He was 86. Albert went to Leslie Street Public School where he won a prize for the maps he drew and he became a member of the Leslie School Old Boys later. Albert began working as a boy in the brickyards, learning the trade at his father’s side. Albert married Frances Gertrude Buckland on November 18, 1892 in Toronto, Ontario. They only had ten years together and it is apparent that he loved her deeply. She died in February 3, 1902, aged 33 years from chronic septic meningitis related to nephritis or kidney disease. (Today she would like live with dialysis and a kidney transplant.) They had three children: David Henry, Vera Winifred, and Frances Irene who died at only nine months of age and on March 18, 1902. Within only about six weeks Albert lost both his wife and his baby daughter. He must have wondered if his little child would have survived with a mother. On June 4, 1902, in Muskoka, David Wagstaff married Margaret Diemal, his housekeeper and nanny to his children, only four months after Frances Gertrude Buckland died. Perhaps he married her so quickly to have a mother for his three young children, but this certainly shocked Leslieville. Marrying a servant just wasn’t done. Class distinctions mattered. 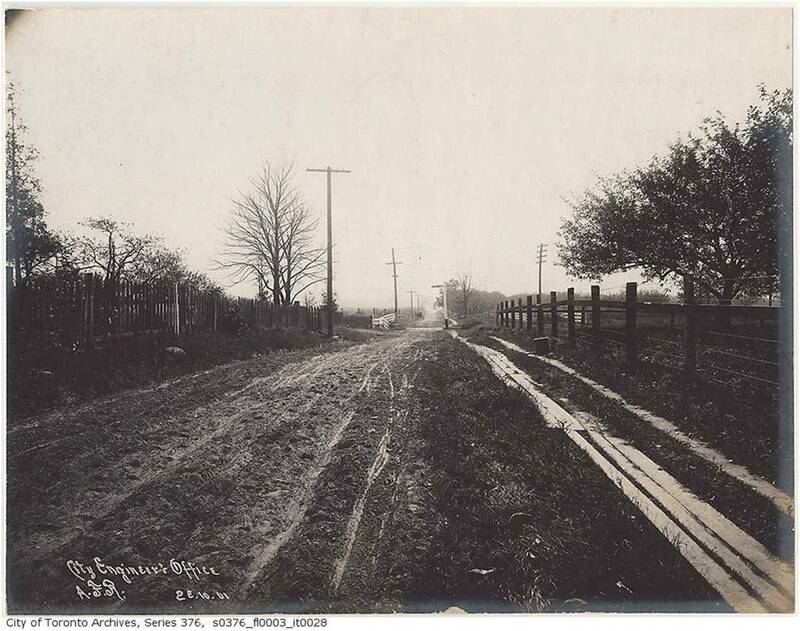 Greenwood Avenue looking north in 1901. City of Toronto Archives. The big shale pits have not yet been done. Greenwood is a rural road lined with apple orchards. There is no underpass at the rail line. The sidewalk is made of planks. The roads in this area were notoriously bad. The soil was sand but there were numerous springs and, whenever it rained, the sand particles became wrapped in a coat of water turning them into miniature “ball bearings”, rolling instead of clumping. Another name for this is “quicksand”. In 1912 five and half acres of land, the original David Wagstaff brickyard, on Queen Street, between Coady and Brooklyn Avenues, was sold to Charles Miller for $45,000 or about $8,000 an acre. (Globe, May 3, 1912) The brickyard was subdivided houses with a row of new stores on Queen Street, including what is now the Tango Palace. 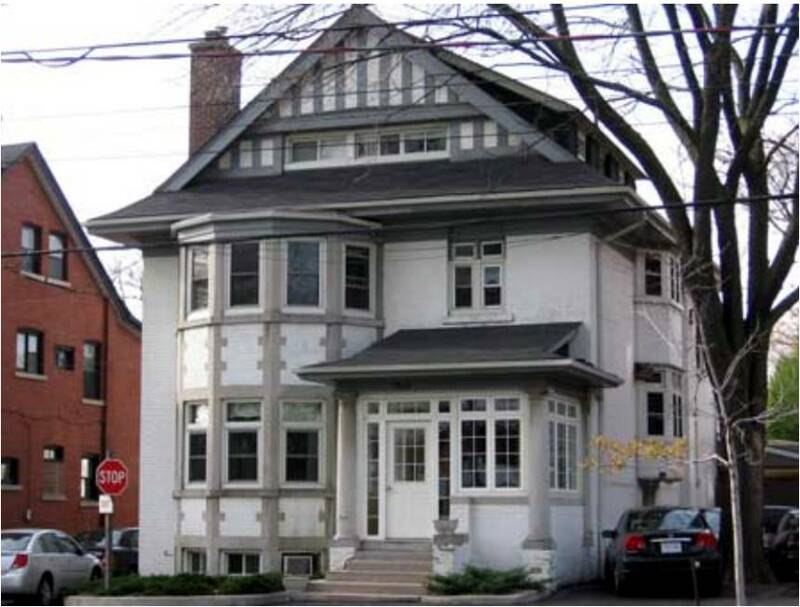 David Wagstaff lived at 1140 Queen Street East and then in 1913 he moved to a newer, much larger house at 650 Broadview Avenue (built 1912). 650 Broadview in Toronto was adopted by the Toronto City Council in 2006 and designated a historical home due to its unique architecture. Meanwhile Bertmount Avenue was laid out north and south through the brickyard and named after Albert “Bert” Wagstaff. 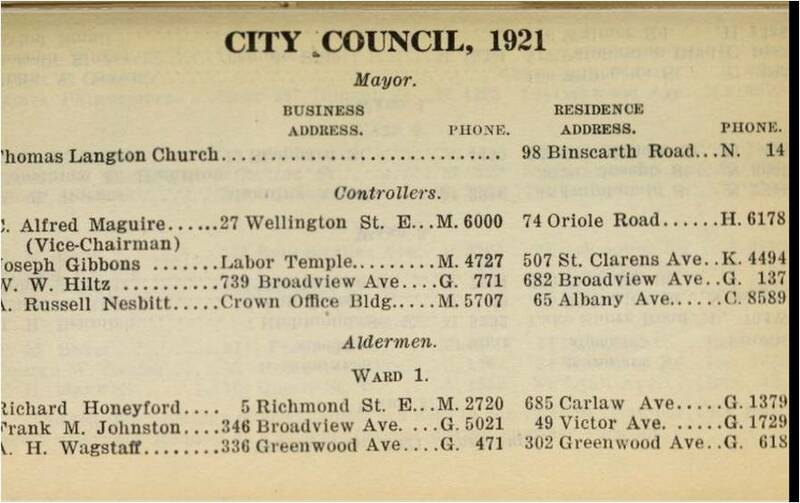 The 1912 Might’s City Directory shows two houses under construction on the west side of Bertmount and none on the east side. By 1914 Bertmount was almost completely built up with new houses. Goad’s Atlas 1913. A. H. Wagstaff’s brickplant was on Greenwood Avenue on the west side just south of the railway tracks. 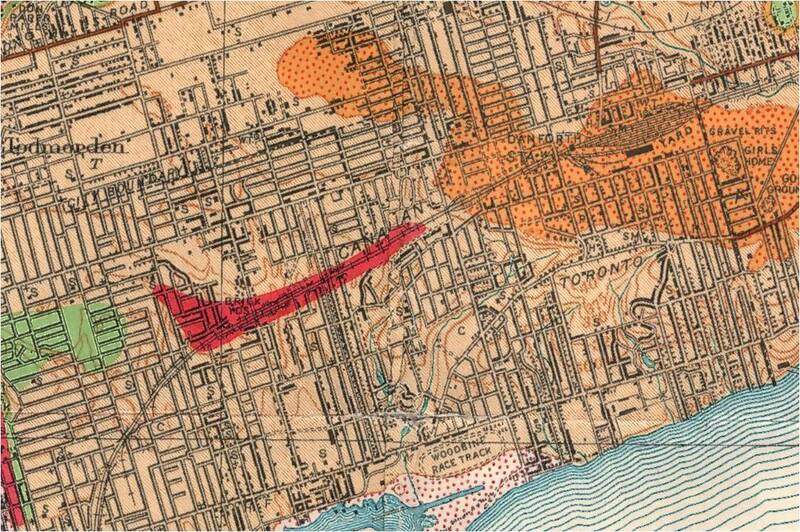 His brick pit was north of the tracks on the west side of Greenwood where the TTC Subway Yard is now. The creek on the left is Hastings Creek. 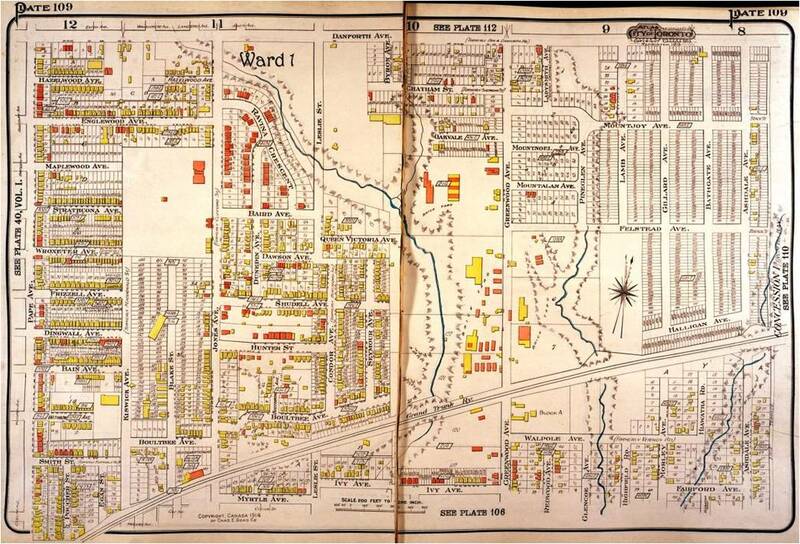 It ran through Wagstaff’s Brickyard.The large yellow buildings by the creek are likely brick plants and storage sheds. The small red rectangles are kilns. Albert Wagstaff had a brick plant made of brick on Wagstaff Avenue as well. This is where his first brickyard was before the expanded north of the tracks. 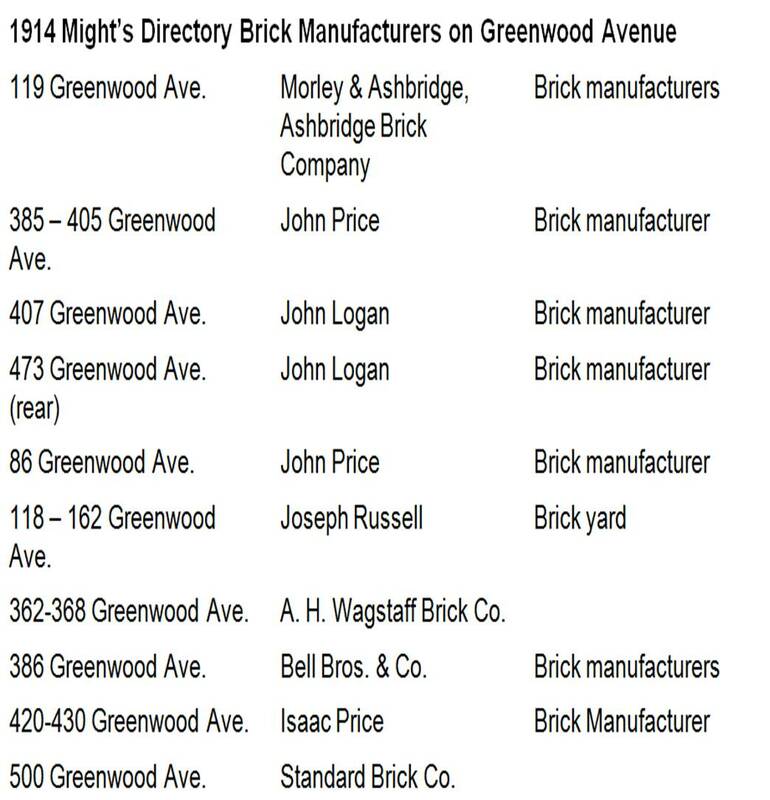 John Price’s brickplant is on the east side of Greenwood just west of one of the branches of Ashbridge’s Creek. While working in Wagstaff’s brick yards on Greenwood Avenue yesterday, Metro Rastich, a foreigner, living at 15 Percy street, had his left leg seriously crushed when it was caught in a clay mixer. He was taken to the General Hospital by the Shields emergency ambulance. It was stated that the leg would have to be amputated above the ankle. On March 12, 1915 swept through Albert Wagstaff’s brickyard at Greenwood Avenue, completely destroying the plant. None of the buildings survived the blaze and Wagstaff’s machinery was destroyed as well. About 40 men were laid as a result. The loss was worth $15,000 in the currency of the day. 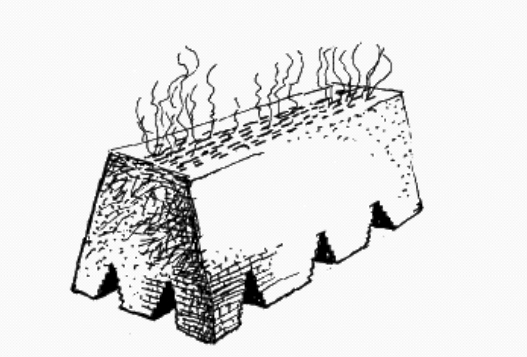 Fires were a common occurrence in brickyards due to the large piles of coal or wood used to fire the kilns, along with sparks from the kiln chimneys. Insurance was almost impossible to get and this brickyard was not insured. Number 26 Fire Station was on the west side of Greenwood Avenue at northeast corner of the shale pit, conveniently placed near the brickyards with their frequent fires. Number 8 Police Station was on the west side of Pape north of Queen. It is now an ambulance station. I have included the official report on the accident verbatim except for putting in paragraph breaks to make it more accessible to the modern reader. H. Wagstaff’s Brick Works George Jones, native of Sopham, England, aged 43, married, with wife and three children, was instantly killed by fall of clay from the working face at 10.30 a.m., April 4th, 1913. Jones, in partnership with Chas. 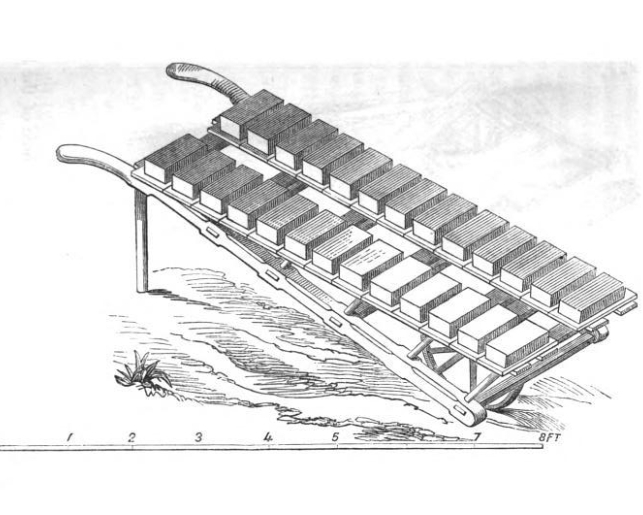 Treleving, held a contract from A. H. Wagstaff to supply his brick machines with clay at a price per 1,000 brick manufactured. They employed Jones’ son, George Jones, Jr., as helper, and these three men performed all the work in the clay pit. This contract or piece-work system appears to be almost universal in the brick business, as is also the method of working the pits, viz., boring stope and breast holes with auger and caving the whole face, after the top soil has been stripped. On the morning of the 4th inst, Jones and Treleving shot a round of six holes along the face, which at the point they were working is about 40 feet high and 50 feet across. The clay is of a tough rubbery nature, and does not appear to shatter like a rock structure, but breaks in thin slices and large square blocks. As a result, there is generally, after each round of shots is fired, considerable overhanging left, which is scaled down at once, or if left for some hours will generally fall of its own weight. On the morning of the accident the shots were fired at 8 a.m., and the face left for two hours to see if it would clean up. A large piece of overhanging was left in the middle of the face, and when it did not come down, Jones and Treleving decided to bore two holes to the bottom and right of it, in order to dislodge it completely. Jones was working nearest the dangerous portion, and they had just commenced their holes when the piece fell, and Jones was caught. Treleving got clear. George Jones, Jr., had been stationed farther back from the face to watch the overhanging and give warning if it showed signs of coming loose. He gave the signal, but Jones, Sr., apparently tripped while running over the broken clay and was jammed by a large piece, and the lower part of his body buried. Death was instantaneous, for the post mortem showed that one bronchial tube was completely severed and several ribs broken, causing immediate suffocation. Jones had been in the employ of Wagstaff since February 1st, 1913, but previous to this had worked several years in the clay pits of adjoining brick yards, and was considered a careful, competent man by his employers. His partner, Treleving, is also an experienced clay man. The accident was caused by the carelessness and poor judgment shown by the partners in working so dangerously near the overhanging portion. That they were aware of the danger and were taking chances was clearly shown by the fact that the third man in the pit was taken from his regular work of loading the cars, and placed as a signal man to warn them of danger. Death on the job was accepted as one of the costs of working for a living at that time. Health and safety did not have the priority it has today. The high accident rate was not usually held against brickmakers, like Albert Wagstaff who was active in the Ward One Conservative Association and hoped for career in politics. Toronto Star, December 31, 1915. He won in 1915 and took his seat on Council in January 1916. The term was for one year only. The new City Council. Toronto Star, January 3, 1916. Bert Wagstaff is third from the right, top row. Bill Hiltz is on the far right, top row. William Wesley Hiltz, a man who stood for everything Albert didn’t, defeated Bert Wagstaff by 180 votes. “Bill” Hiltz was a contractor as Bert Wagstaff was (one of his many roles), but that and an interest in politics was all they hand in common. Bill Hiltz was a devote Christian, born again, strongly for prohibition of all alcohol and against vice of all kinds. 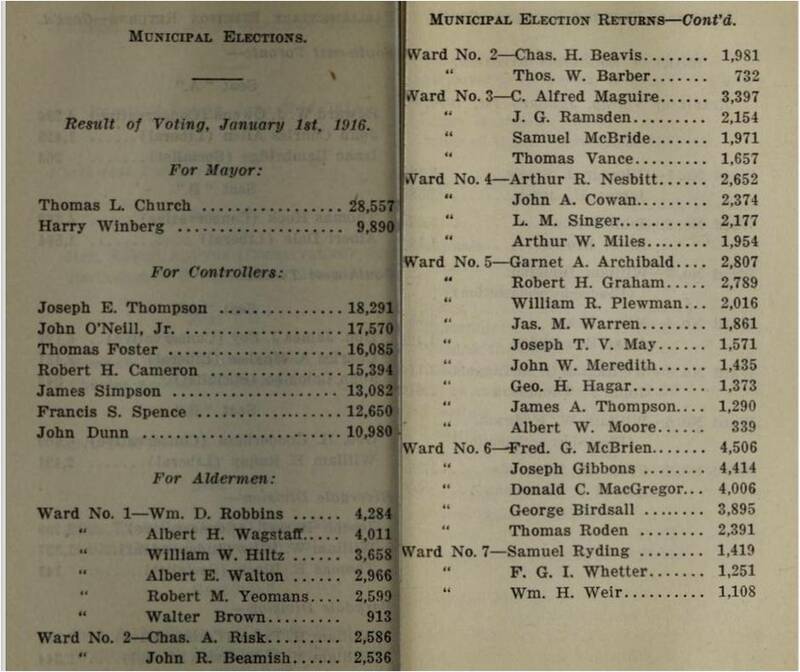 The winning candidates for Alderman were William D. Robbins, Albert Walton and Bill Hiltz. 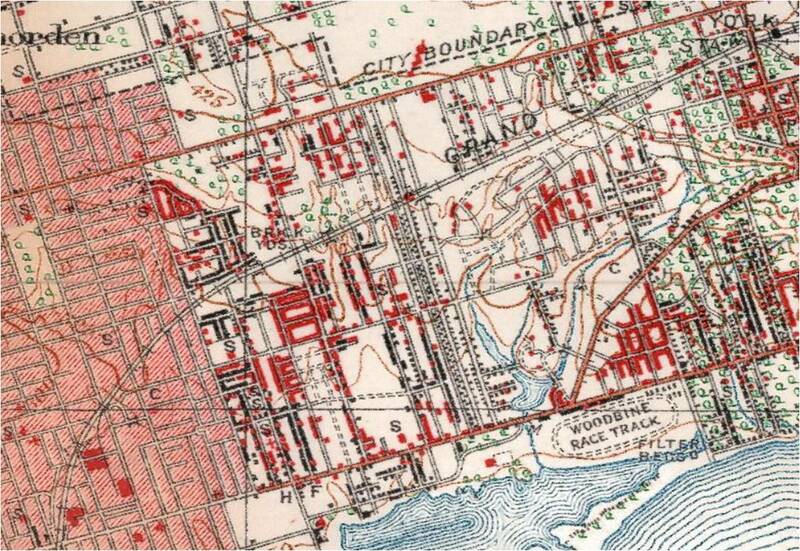 Dominion of Canada Topographical Map, 1921, showing the location of brickyards north of the railway tracks on Greenwood Avenue. Detail. 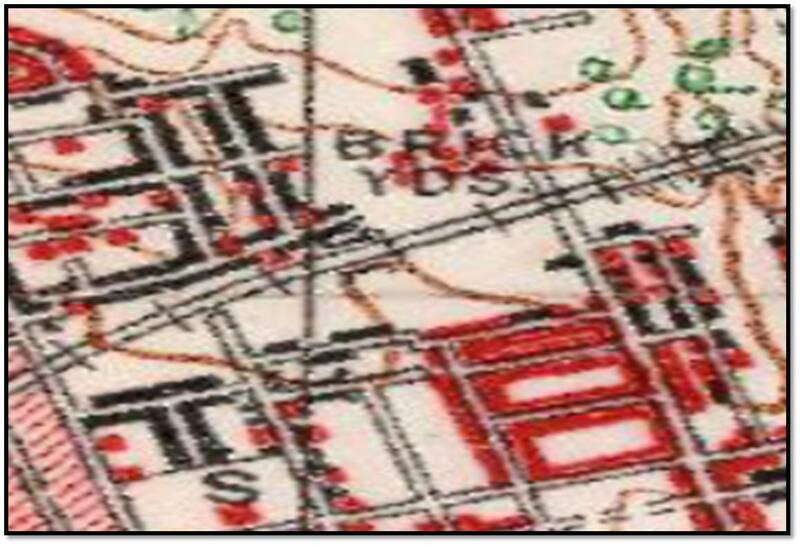 Dominion of Canada Topographical Map, 1921, showing the location of brickyards north of the railway tracks on Greenwood Avenue. He promoted himself as someone who had lived all his life in Ward One. His previous experience as an Alderman fitted him for the post. He was an employer “interested in not only one section or subdivision, but in the whole east end.” Since he paid heavy taxes himself, he understood the need to reduce taxes and have a fairer assessment system. He wanted to bring more industry to Toronto and keep factories from moving out of the city. Finally, in a slogan seems somewhat odd to us today, but was understood at the time, he promised to, “Live and Let Live”. He said that he was “a consistent believer” in this at a time when the calls for complete prohibition of alcohol were mounting. (Toronto Star, Dec. 29, 1916) In 1916, the Ontario Temperance Act was passed in the Legislature virtually outlawing the sale and consumption of alcoholic beverages. When the economy was in a downturn and buildings weren’t being built, bricks didn’t sell. At other times, Wagstaff’s plant produced more bricks than the market could absorb. When he had overstocks of bricks he built low-rise apartment buildings and houses, including some near his Wagstaff Drive brick plant. In 1918 Wagstaff received a building permit to put an apartment house and garage at 320 Greenwood Avenue. They were worth about $10,000 in the money of the day. (Globe, July 16, 1918) He named the apartment building the Vera Apartments after his daughter Vera. This building is made with some of A. H. Wagstaff’s purple and black bricks and is a showcase for his specialized products. The apartment building turns away from the Greenwood Avenue. Its monumental front entrance faces the brick plant, not the major street nearby. The original Wagstaff home is buried behind factory additions, but can still be seen from the front steps of the Vera Apartments and from the east side of Greenwood Avenue. Around this time he also built the Avalon Apartments at Gerrard and Woodfield Road, and the Louise and Alberta Apartments at the corner of Doel and Curzon. Some of the units had three rooms and a bath with oak floors and trims, as well as private garages at the rear. 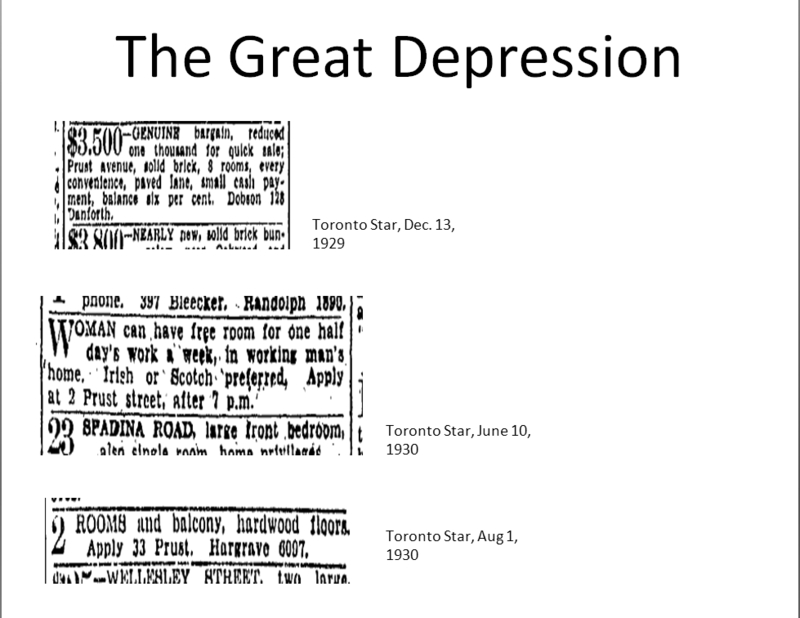 (Globe, Nov. 14, 1923) Doel Avenue is now part of Dundas Street East. 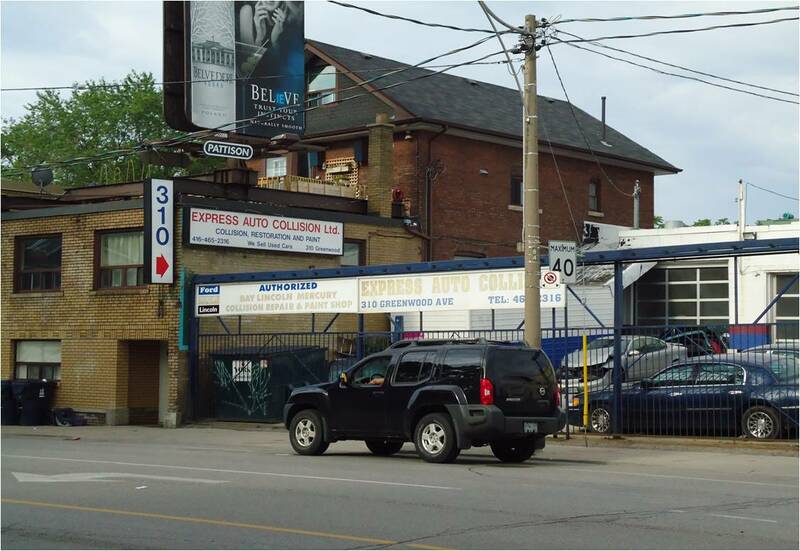 The Louise is now listed at 1480 Dundas Street East and the Alberta is 1492 Dundas Street East. The garages still exist, but appear to have been converted into apartments. All Wagstaff’s buildings were sturdy and constructed with Wagstaff’s own bricks, built like the proverbial brick —-house. He gained considerable rental income from the apartments and the sale of houses, but there were other advantages. Albert Wagstaff installed lady friends Margaret Paterson (in the Avalon) and Mrs. McCague (in the Louise Apartments) in apartments in his buildings. 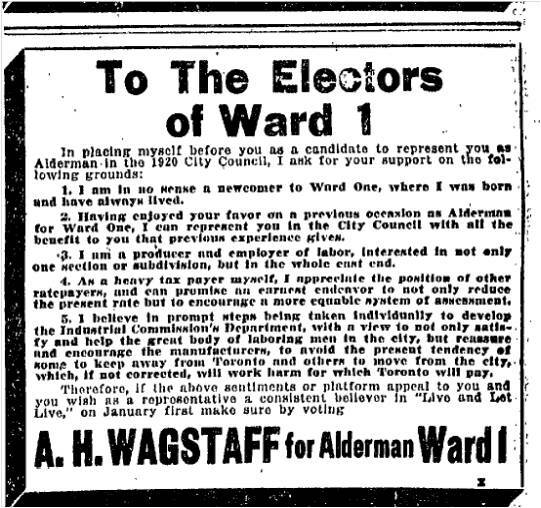 Albert H. Wagstaff ran for City Council in 1919, but lost to William Wesley Hiltz again. He defeated Bert by 1,178 votes. 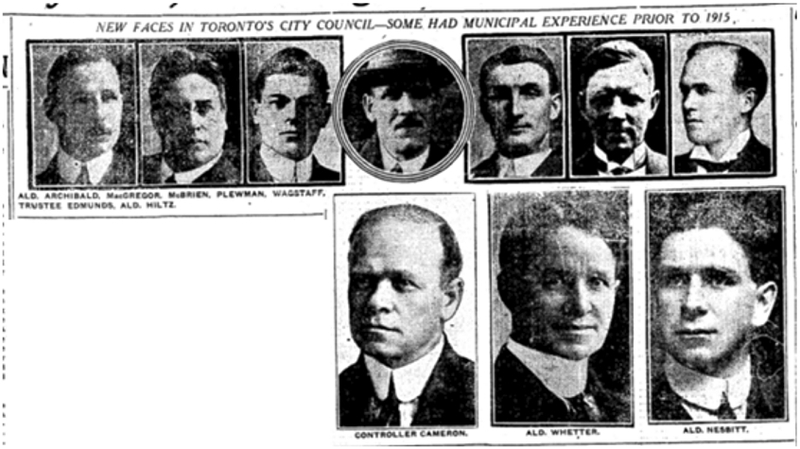 The top three candidates, Frank Marsden Johnson, Richard Honeyford and Bill Hiltz took their seats in January, 1920, as Ward One’s aldermen. Municipal Handbook City of Toronto. Compiled by the City Clerk. Toronto: Carswell Co., Limited, 1921. Bert Wagstaff demonstrated his sense of humour again when the 1921 Census taker came around to one of his properties in Scarborough. He had already been enumerated on Greenwood Avenue in York East as a brick manufacturer, but he had himself and Margaret enumerated again. He gave his occupation as “farmer” and with a specialty. He was a “brick farmer”. Later the Scarborough Census officials crossed out both Albert Wagstaff and Mrs. Wagstaff’s names. By the 1920s, a combination of increased demand for bricks and mechanization of the brickmaking process depleted the East End brickfields. The success of the brickmaking industry spelled its own dooms as the spreading subdivisions of red brick houses buried the area’s remaining clay beds. Some of the contractors building those homes found themselves in a cash bind. Their cash flow did not allow them to purchase the bricks they needed to finish the houses they had started. Brick manufacturers did not offer credit. However, Albert Wagstaff let them place orders on the basis of a simple handshake. By such generosity he won the loyalty of his customers. His workers also, apparently, felt the same by and large. However, suburbia did not want the brickmakers. 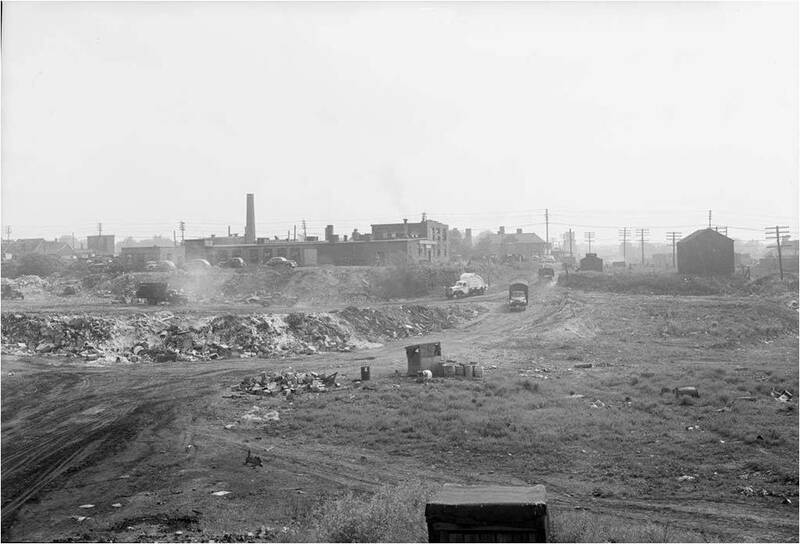 From the building boom around 1912 and onwards, Leslieville residents began to complain of being trapped between the smells from the Morley Road sewer plant, the smoke from the garbage incinerator, the reek of filthy creeks and ponds (including Small’s Pond) and the constant smog and noise of the brickyards. These made some parts of the East End less than desirable for housing and brought down property values, allowing home-owners to appeal their tax assessment. 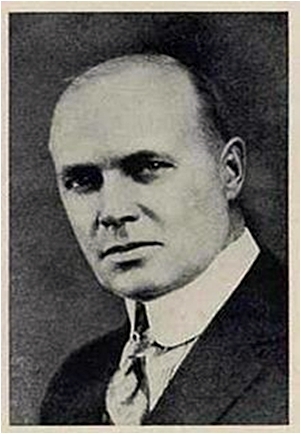 According to the 1921 Might’s Directory, Joseph Russell still remained in business at 40 Blake. 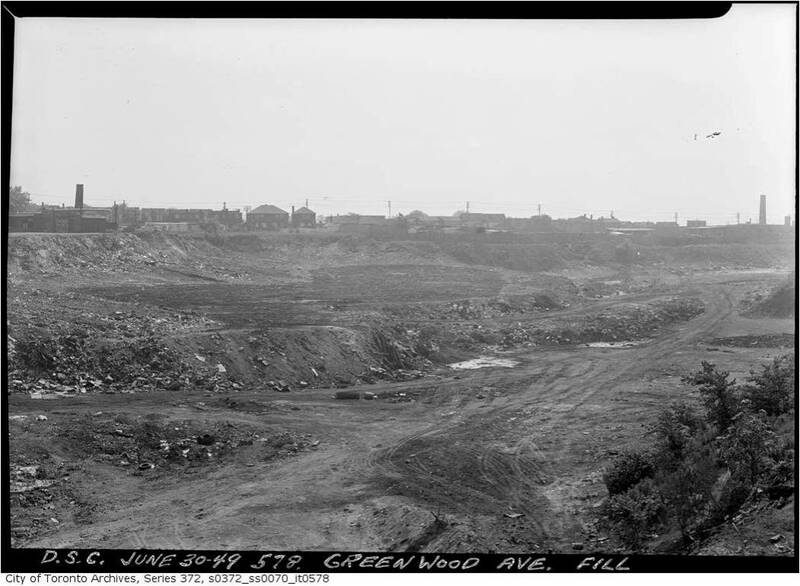 He had sold his Greenwood Avenue brickyards for housing: Alton, Sawden, Stanton, etc. Along Greenwood Avenue there were: A. H. Wagstaff, 302 Greenwood Ave. and 336 Greenwood Ave.; Price & Smith, 386 – 436 Greenwood Ave.; John Price, Ltd., 395 Greenwood Ave.; Standard Brick Co., 460 Greenwood Ave.; and John Logan, 471 Greenwood Ave. (Might’s Directory 1921, 282 – 283) This was far fewer than ever before. Albert Wagstaff owned a farm in Scarborough where he raised prize-winning shorthorn cattle. (Globe, June 16, 1927) His farm was near Wexford. His barn burned in 1925 and he rebuilt it shortly afterwards. It was reported in the newspapers as it was one of the few barn fires that fall and also, probably, because it was the notorious Bert Wagstaff’s barn. (Globe, Oct. 12, 1925). On May 14, 1928, some workmen found an overturned car in flames in a ditch near Birch Cliff in Scarborough, but the driver and occupants had left the scene. There was blood and scattered clothing around the wreck. The workmen had seen a man with two women pass by them in the car. The workmen saw the car disappear out of sight, but then heard two loud explosions. The car burst into flames, hit a concrete culvert and rolled over in the ditch. Some unidentified person called the police. Although someone was probably seriously hurt, none of the hospitals nearby had any patients that fit the picture and none of the nearby physicians had treated any injured man or women that night. Albert Henry Wagstaff and his wife Margaret (Diemal) taken around 1915. From a Private Collection. WANTED – MOTOR BOAT, ABOUT A 35-footer, for Lake Simcoe; must be in first-class condition; speed not less than 25 miles per hour. 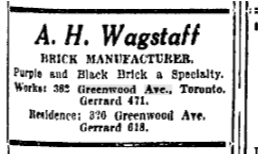 Apply A. H. Wagstaff, 348 Greenwood Avenue, Toronto. As time passed the control of the brick industry became more and more concentrated. There were only 14 plants in York County in 1930 compared to 30 in 1906. (Montgomery, 4.) Albert was involved in the brickyard up until his last illness. 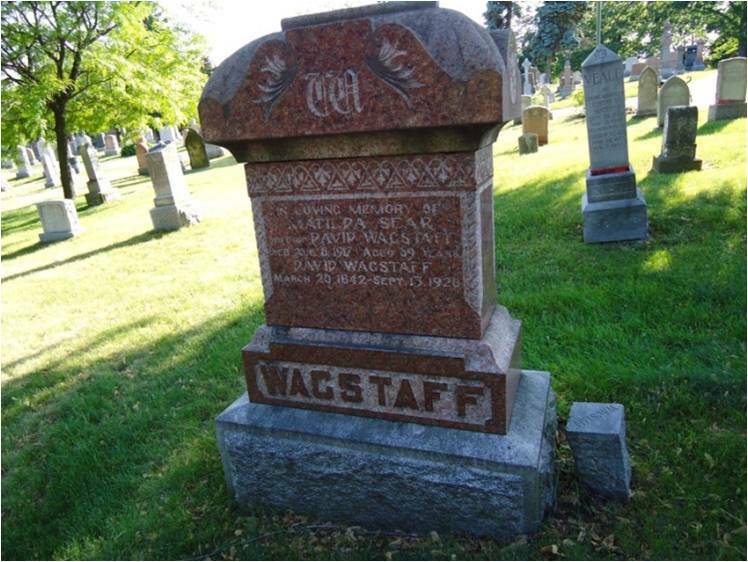 Albert H. Wagstaff died on April 19, 1931 in Toronto Western Hospital after an operation to help his chronic bronchitis. Wagstaff suffered from ascites, an abnormal accumulation of fluid around his lungs due to years of heavy drinking. Cirrhosis of the liver was a contributing factor. At the time of his death he was separated from his second wife, Margaret Diemal. She was living at the big new family home at 320 Greenwood Avenue near the brickyards. He was living in one of the twin apartments he owned on Doel Avenue. 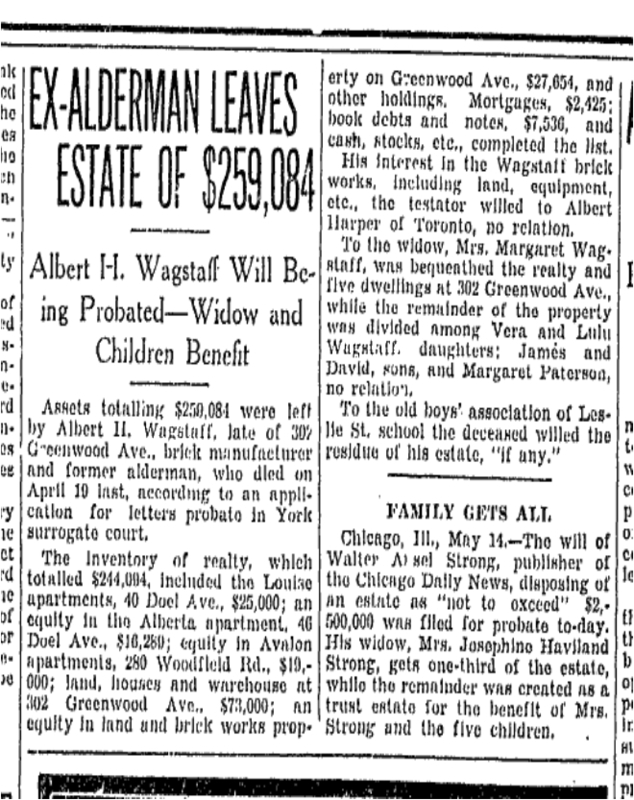 The Toronto newspapers published his obituary (see The Globe, April 21, 1931), but a lot more printer’s ink would soon be spilled over Bert Wagstaff. Albert Henry Wagstaff’s sense of humour went beyond his grave. A heavy drinker and known “womanizer”, he left a contentious estate. His assets totaled almost $260,000, a huge amount during the Great Depression of the 1930s. He owned the Louise and had equity in the Alberta Apartments and equity as well in the Avalon Apartments on Woodfield Road. He owned land, houses and warehouses at 302 Greenwood Ave, as well as equity in the land and brickworks north of the railway line. He also had mortgages, stocks and very little cash. His body had barely settled in his grave when his family began contesting his highly controversial will. Many things about the will ticked his wife and son off, but one of them was the fact that Wagstaff left his ownership of part of that huge brick pit and the brick plant on Wagstaff Drive to his drinking buddy, Albert Harper, not the family. Probate of the will of Albert Henry Wagstaff, brick manufacturer, who died April 19, 1931, leaving an estate valued at $259.084.47, has been granted on the application of Albert Harper. The will was the subject of a supreme court action, being contested by the widow, Margaret Wagstaff, on the ground that it had been obtained by fraud and undue influence, but after a lengthy hearing Mr. Justice Kelly found that it had been well proved. The estate is comprised mostly of apartment and dwelling houses, and Margaret Wagstaff, widow, is left five houses in rear of Wagstaff Dr. and 302 Greenwood Ave. Vera Sparks, daughter, receives the Vera Apartment, Greenwood Ave., property on Gerrard and Curzon Sts., and Elm St., Oshawa; James Wagstaff, son, a farm containing 100 acres on Kennedy Rd; David Wagstaff, son, Alberta Apartments, Doel Ave.; Lulu Wagstaff, daughter, eight houses on Ivy Ave. and vacant lot; Margaret Paterson, no relation, Avalon Apartments, Gerrard St.; Mrs. H. D. McGue [McCague], no relation the Louise Apartments, Doel Ave.; Albert Harper, no relation, all land, buildings and equipment in connection with brick works on Greenwood Ave.; Richard H. Greer, K. C., large diamond ring; Old Boys’ Association, Leslie St. school, residue. Assets are real estate, $244,094.62; mortgages, $2,425.93; promissory notes, $7,536.78; cash, $27.14; personalty, $4,000, and bricks unsold, $1,000. The Judge doubted that very much. He stressed the evidence given by J. R. Cartwright, one of Albert’s lawyers, and ruled that “he had no reason to think Mr. Wagstaff, although he knew he drank considerably, was not competent to make a will.” Justice Kelly found that “the relationship between the testator and his wife was and continued to be, strained and unhappy, due, I have no doubt, partly, at least to his friendship with other women and to some extent his mode of providing for her support. The result was a separation, he leaving his own residence in which his wife continued to live.” The family lost. And even though Wagstaff drank more than the proverbial fish, the judge deemed of “sound mind” when Bert made his will. It is believed that two other women mentioned in the will were the mistresses of Albert Wagstaff, alderman and prominent manufacturer. He is rumoured to have “kept women” in each of the apartment houses he built, including the Louise and Albert on Dundas Street and the Avalon at Gerrard and Woodfield, but not the Vera at Wagstaff and Greenwood named for his daughter Vera. Albert left the Alberta Apartments to his undutiful son David, but, in a mischievous move, he left the twin apartment building, the Louise, to a woman who was apparently his mistress. Margaret Paterson apparently got the Louise Apartments. If the relationship between Bert and Margaret Paterson was anything like the rumours said and his wife suspected (or knew), Albert was laughing from his grave. The Avalon Apartments at Woodfield and Gerrard were left to Mrs. McCague, like Margaret Paterson another much younger woman (also no relation). An Islamic bookstore is there today, but one wonders if it is haunted by the ghost of Bert. The Vera Apartments at Wagstaff and Greenwood were left to daughter Vera Sparks. 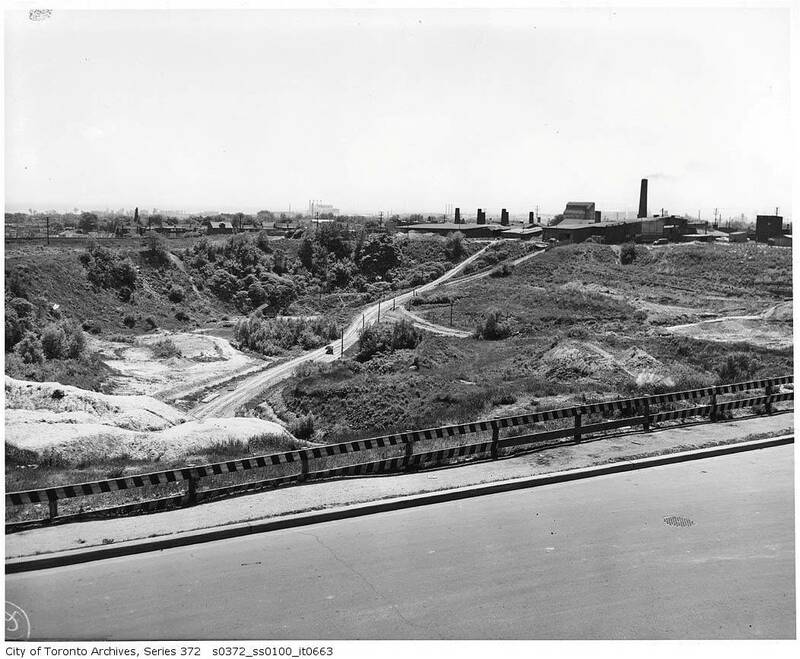 The brick pits on the west and east side of Greenwood park are clearly visible as well as a smaller brick pit on Coxwell Avenue north of the CNR line. Monarch Park is sandwiched between two former brick pits. The areas at the tops of all the streets east of Greenwood(Redwood, Highfield, Woodfield, Hiawatha, Craven and Rhodes) and south of the rail line were also brick pits, small but deep. Glenside Road was also a brick pit. Other small brick pits were scattered through the immediate area. The Devil’s Hollow from the rail line south to Gerrard was one big brick pit. Greenwood Park is built on a southern extension of the Devil’s Hollow brick pit. With the Great Depression in the 1930s, the bottom dropped out of the brick industry. With little demand, only the Price brickyard remained at 395 Greenwood Avenue on the east side. It was now called the Toronto Brick Company. By that time the family brick plant was a thing of the past. After World War Two, when returning veterans married and needed housing, the demand for brick was unprecedented. 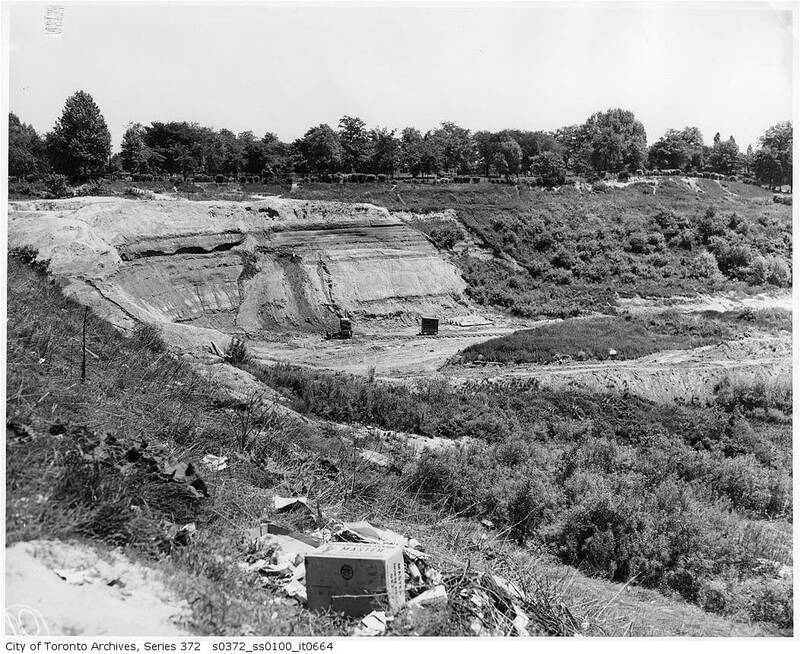 Large plants using modern methods and machinery shipped bricks across the province from production centres, such as the Don Valley Brickyard on Bayview Avenue in Toronto. Looking from west to east towards Greenwood Avenue over Harper’s Dump. 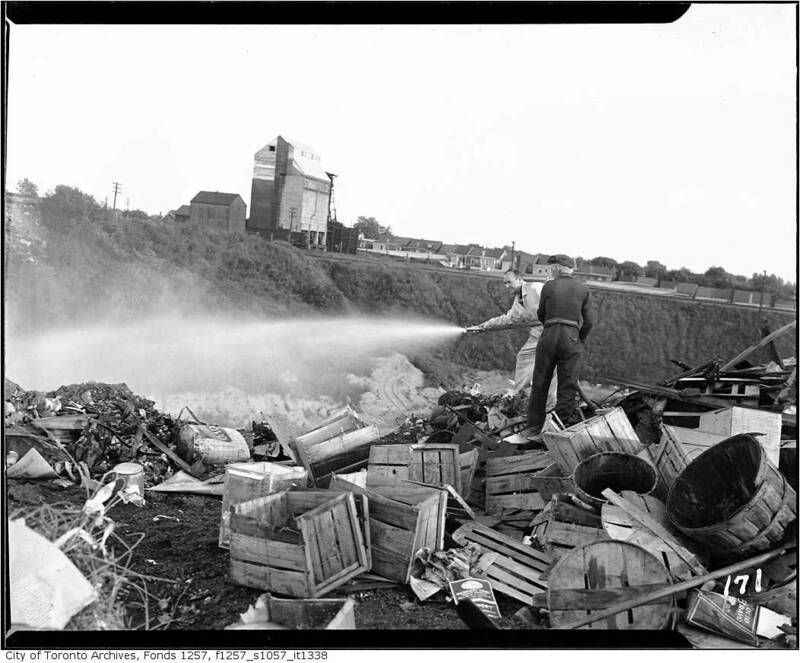 City of Toronto Archives, Fire, Greenwood Dump, 1949. Once a property had been subjected to the digging, blasting, scraping and general mayhem of brickmaking, it was heavily cratered, bare of all vegetation, with a hard clay surface. It was “as bald as a brickyard”. 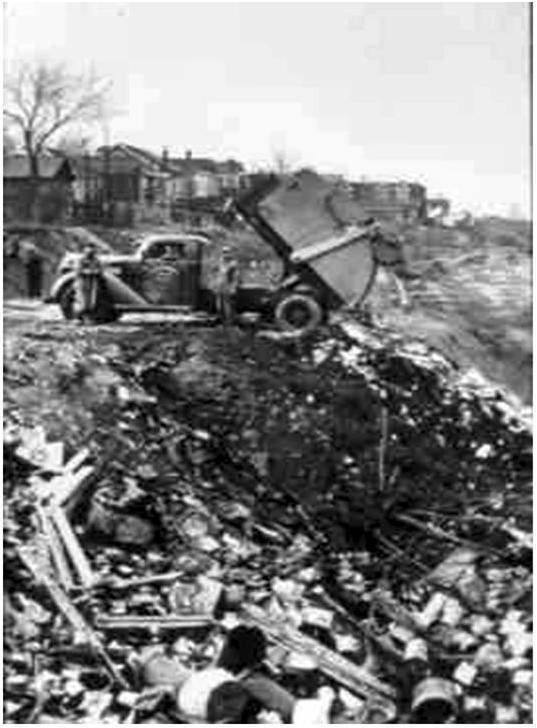 This was Harper’s Dump, the main municipal tip for Toronto. When it closed as a brickyard in 1935, it was much deeper than in the picture. By 1949 it was almost full of trash. In 1952 it was full. In 1956 it became the Greenwood Subway Yard. City of Toronto Archives, 1949. Greenwood Dump. Trees were often planted to screen ugly sights and sites. The trees are along the south side of Oakvale Avenue. The square tower in the distance is that of the fire station at the corner of Oakvale and Greenwood. This part of Harper’s Dump is full and top soil has been deposited over the garbage. 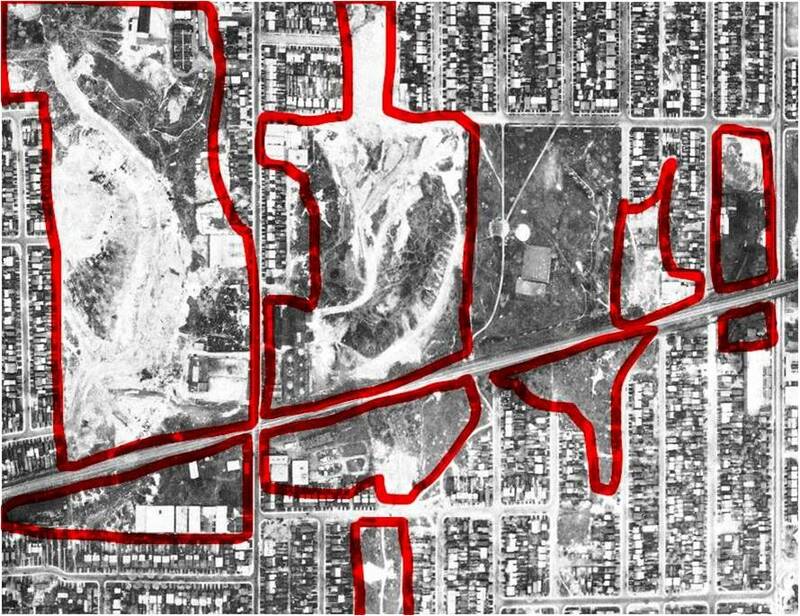 It would all be dug out when the TTC purchased the property and built the Greenwood Subway Yard. The firehall was torn down and a new one built on Chatham Avenue. From the City of Toronto Archives. Photograph taken June 30, 1949. 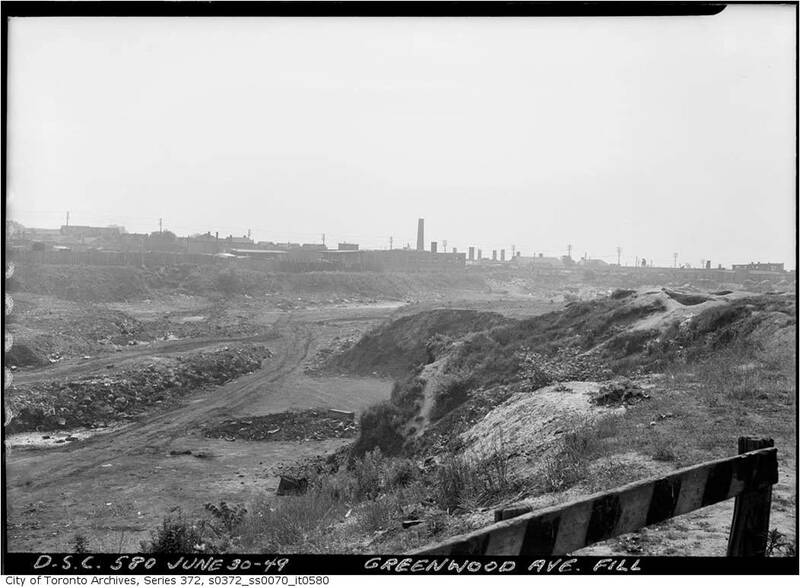 Another photo looking east across Greenwood Dump to Greenwood Avenue and two old brick plants. The buildings with the chimneys are distinctive. Brick kilns had tall chimneys to vent the smoke. 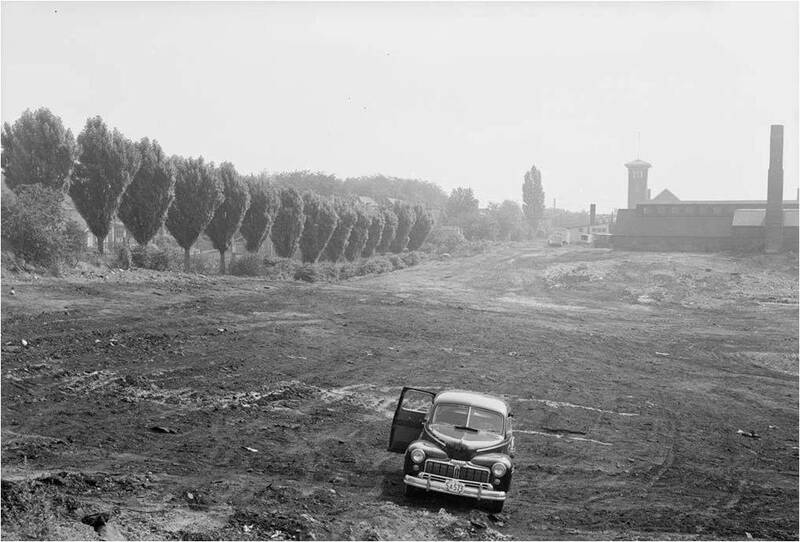 A lovely little creek , Hastings Creek, used to flow where this open pit is in this 1949 photo. Before 1905 and the arrival of the brick manufacturers, this area along Greenwood was orchard and market gardens. The haze in the picture is smoke from burning garbage. City of Toronto Archives, Series 372, s072_ss0070-t0580. Taken June 30, 1949. But, as the saying goes it’s not over until it’s over and, in the Wagstaff, it wasn’t over until 1941. The Province of Ontario wanted succession duties out of the Wagstaff Estate that had not been paid when the will was settled on December 4, 1934. . 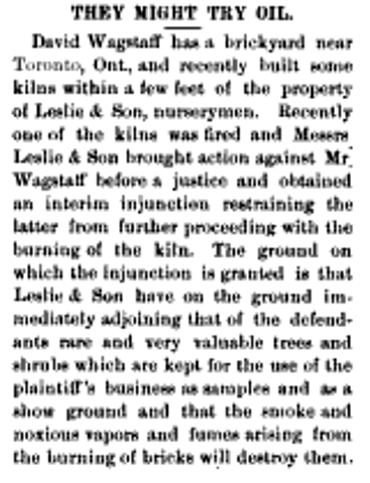 The case went to the Supreme Court of Ontario (Re Wagstaff  O.R. 71-79 ONTARIO [SUPREME COURT OF ONTARIO] ROACH, J. 18th FEBRUARY 1941). The Succession Duty Act, R.S.O. 1927, ch. 26, secs. 8, 12 and 19, determined that the claims of those owed money by an estate (the creditors) should be paid before any succession duties were paid. But, in this case, the Wagstaff Estate was insolvent and there wasn’t enough money to pay everyone, including the Royal Bank. There was nothing left to pay the succession fees. The Province of Ontario did not get its money. Presumably the Royal Bank was able to put a lien on at least some of the property and get all or part of the money owed to it back. 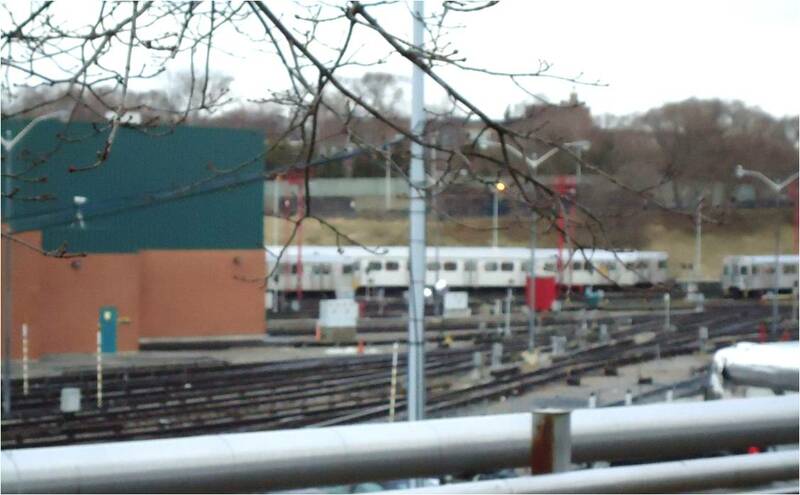 The TTC Greenwood Subway Yard. Photo by Joanne Doucette. We are looking west from Greenwood Avenue towards the Pocket. 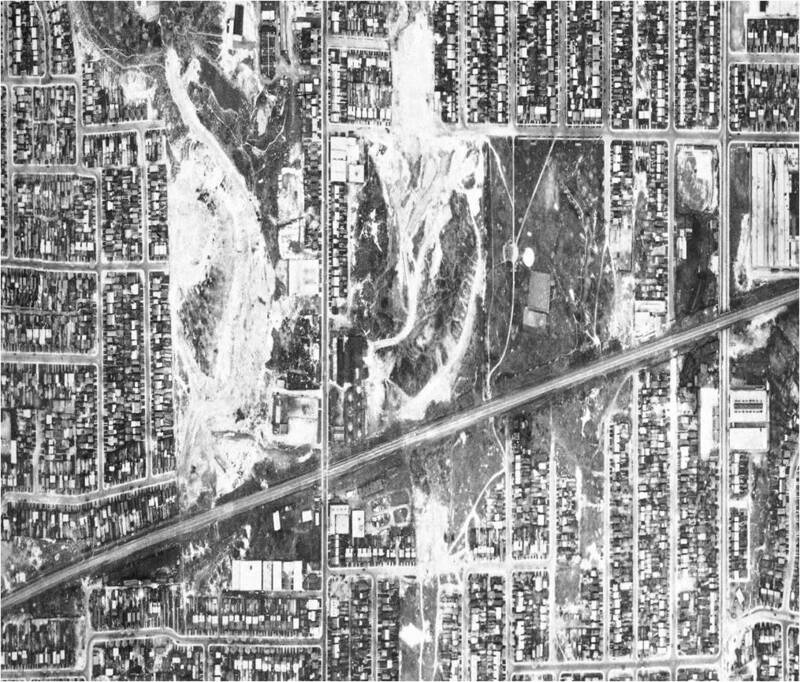 From the same 1942 aerial photo as above. I’ve outlined the brickpits on this aerial photo to emphasize just how much of my neighbourhood was made up of large artificial holes in the ground. One of the reasons I got into researching local history was because of curiosity about why things I see around me look like they do. Why are my neighbours’ houses leaning in different directions off their foundations? Why is there a dip in the road here? Why have they put big green gas vent pipes at Alton and Gerrard? And why did they put the TTC Yard there? The Albert Wagstaff house at Greenwood and Wagstaff as it is today. Photo by Joanne Doucette. The house is hidden behind a more modern factory addition. 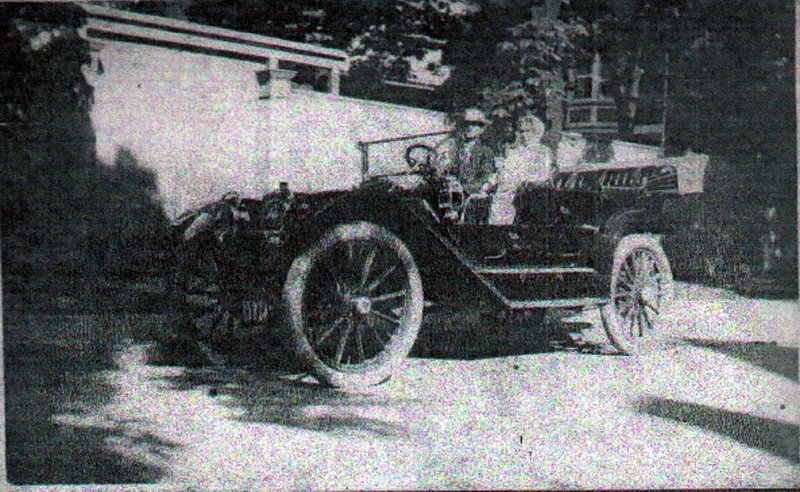 The cluster of car-related businesses around the brickyard was begun by Albert H. Wagstaff in 1922 with his truck factory. 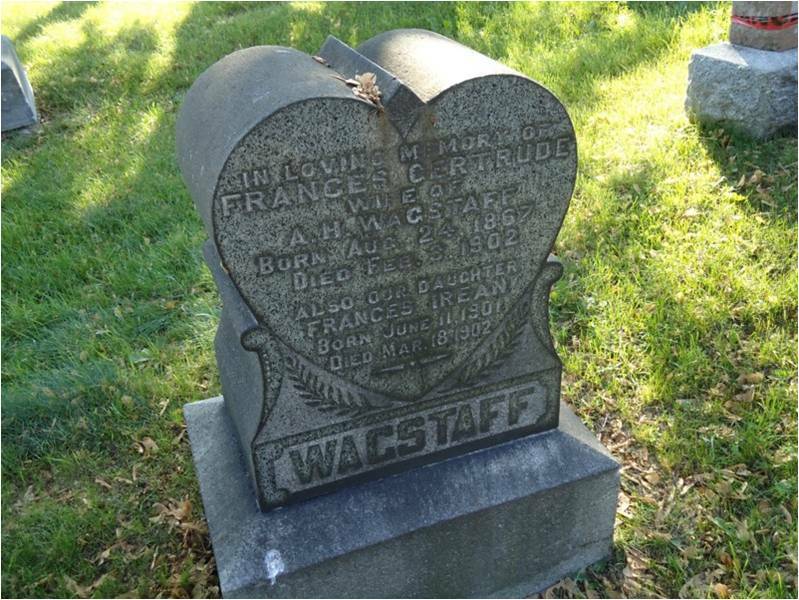 IN LOVING MEMORY OF FRANCES GERTRUDE WIFE OF A. H. WAGSTAFF BORN AUG. 24, 1867 DIED FEB. 3, 1902 ALSO OUR DAUGHTER FRANCES IREAN BORN JUNE 11, 1901 DIED MAR. 18, 1902. Photo by Joanne Doucette. Albert Henry Wagstaff is gone and may be largely forgotten, but he left many clues behind him. Wagstaff Drive is named after as well as Bertmount Avenue near Queen and Jones. His father David Wagstaff had a brickyard there. Bertmount runs right through were Bert’s childhood home was. Albert Henry Wagstaff’s brick plant still stands on Wagstaff Drive. Part of it is home to the Left Field Brewery. Many of the houses in the neighbourhood were built with Wagstaff brick and some of Toronto’s well-known buildings such as The Distillery and Old City Hall (in part).